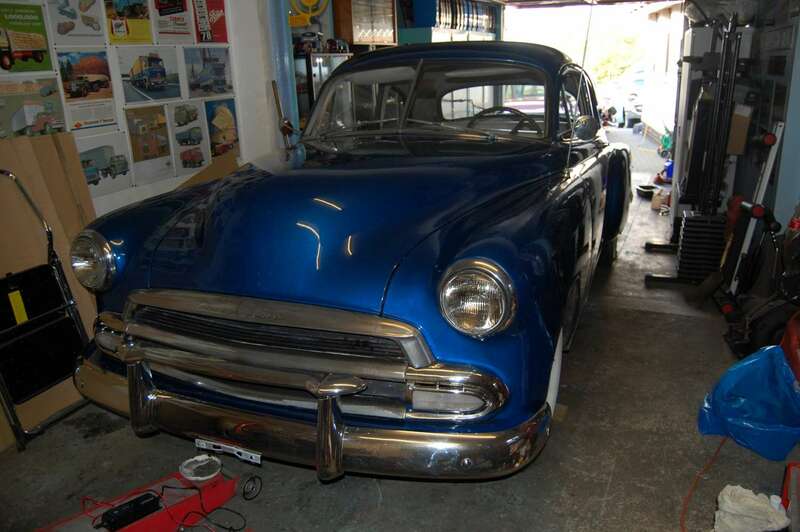 Vehicles For Sale 1951 Chevrolet 150 2door coupe. £8750 o.n.o. Car is now sold. We did do the work and MOT it and it now lives in South Shields. Imported earlier this year from Massachussetts and needing more work than stated by the seller!!! It is now in the garage having work done for the MOT, as well as some welding repairs to the floor pans and inner sills. It has the straight six engine and 3 speed manual, column change gearbox. 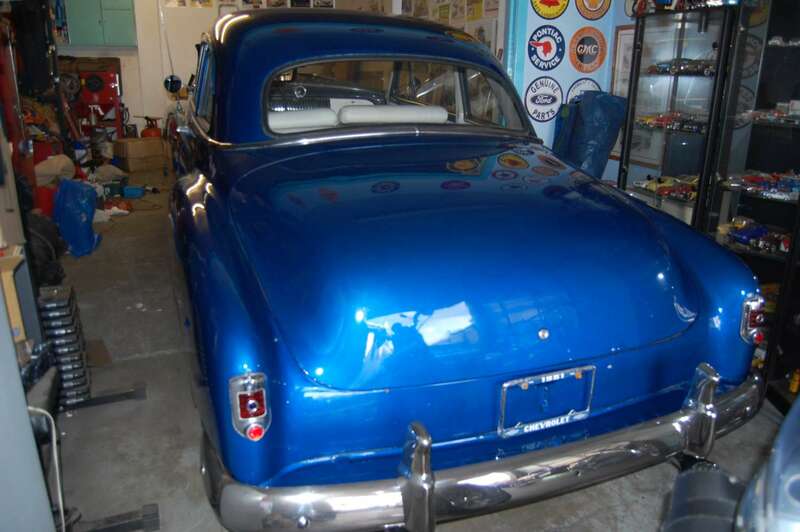 It runs and drives very well, but there are problems with brakes and some running gear. It is about to have the following work done: new brake shoes all round, new brake hoses all round, new brake cylinders all round, new handbrake cables. Steering wise it will get new king pins and bushes, one new track rod end and one adjustable end needs adjusting. It will have new UK spec halogen 6v headlights, all other electrics work fine as fitted, including a superb heater. We will need to fit screen washers as it never had them and we need to fettle the vaccuum wipers or replace with an electric setup. Underside has been completely taken back to bare metal or original paint. 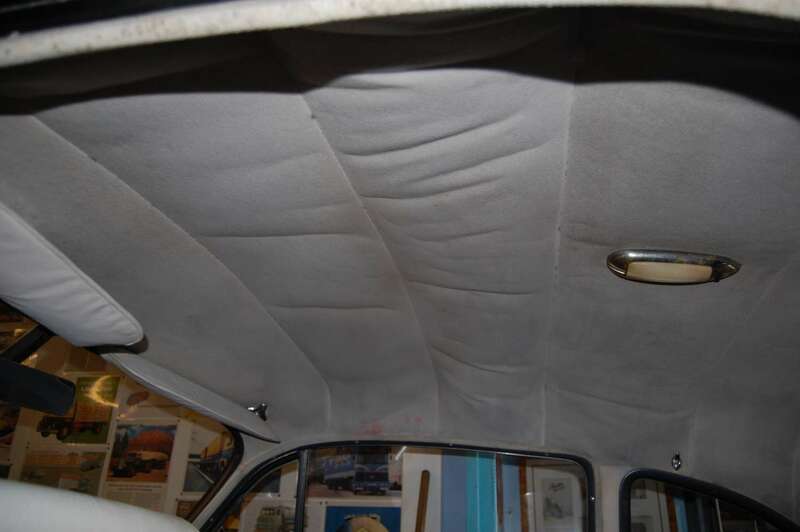 It will have new patch panels where needed and the full underside will be painted in anti-rust black, then coated with body schutz for protection. 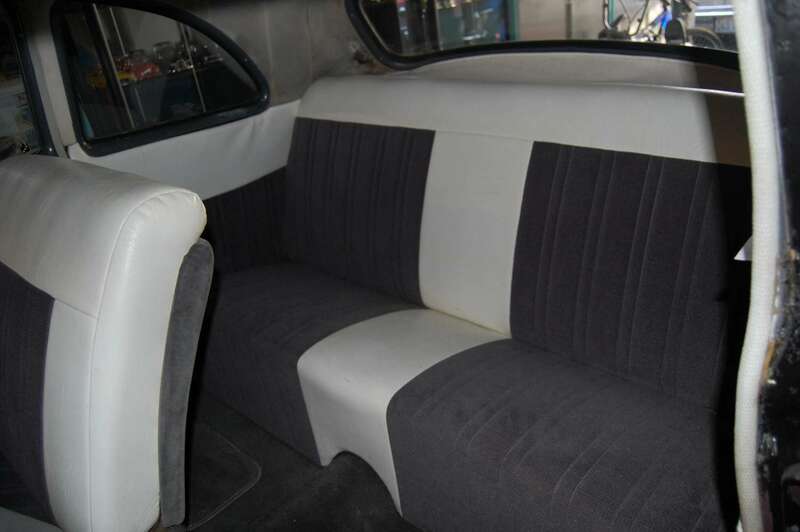 Interior is in good condition and usable as is with nice seats so we wont replace any of it, we will just clean it up a bit. More pics will be added when the car is ready or nearer ready. We will then MOT and register it. Price stated is with the work done and the car on the road. 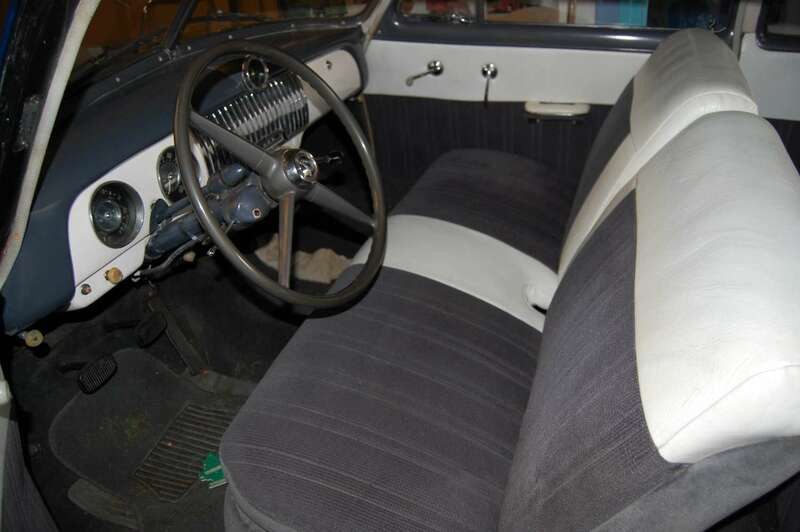 We already have the floors stripped and the brakes removed, so no option to take it as-is for a lower price. You will be getting a good car for the money, not a show winner, but a good usable, economical classic car. An excellent first "yank" which you can enjoy daily. Updates Dec 2010, we have done all the mechanical parts, new brake shoes, fitting kits, wheel cylinders, rebuilt master cylinder, flexi hoses, new handbrake cables, new king pin, new track rod end, new halogen headlights, plus more. It needs the full floor pans replaced, parts could be patched, but it's pretty bad so best replace the lot. My welder guy does not have the time to do it so it's now for sale at £7500 to allow you to get the floors welded, gain it's first MOT and UK registration. I have all the import papers to allow you to do that easily and become the first name on the UK registration document. 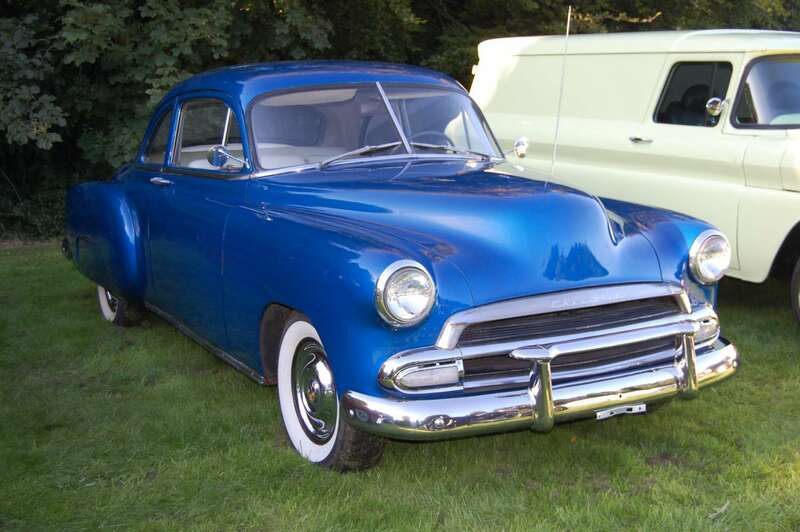 click on the above youtube video to see an original 1950 sales film, as the 1950 car is very similar to the 1951 we have for sale here.